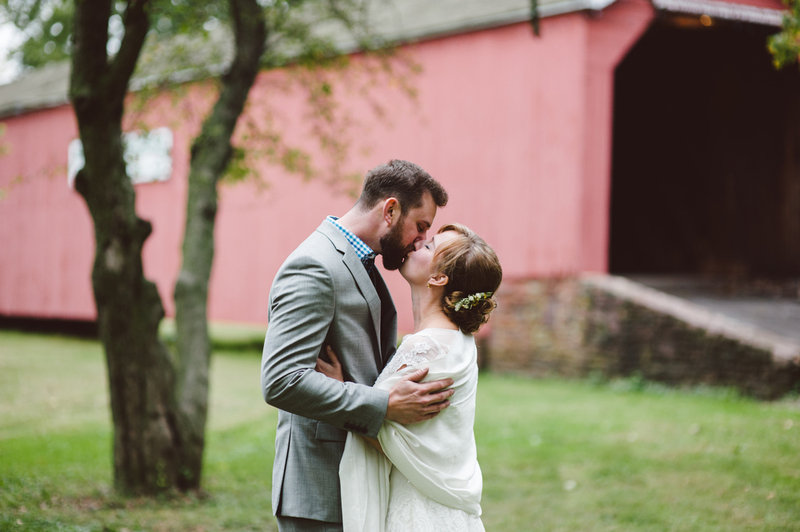 Meghan and Nick Cicchino planned a beautiful festival-esque outdoor wedding for October 3rd. Unfortunately the Pope and the weather had other plans for them! It was the coldest and windiest day yet so far this Fall but that didn't stop anyone from having an amazing day celebrating the two of them! Everything was hand made in this wedding, from personalized drinking glasses for each guest to the tree's chopped down so I could climb up a hill to get a group shot - no manual labor expense was spared! Although the weather wasn't so cheery, the guests certainly were. I went to high school with Nick and this wedding turned out to be a bit of a glorious reunion for me as well. It was such a blast, I'd love to relive the day again if they would! Here are some of my favorites. On September 19th I traveled to Chincoteague Island, VA to capture Bryn and Paul Zeoli's wedding day. The ceremony was on a sand bar. The party arrived on a pontoon boat and the bride, accompanied with her ladies and captained by Captain Spider, arrived on their own personal boat. The whole scenario was beautiful and everything worked out better than I could've imagined when she first told me how the day would go down! Here are some of my favorites from that day. You know how we all get into those ruts where the seemingly only way out is to purchase ourselves an unnecessary gift? Well, I recently had one of those and the solution was a Mamiya 645AF. She came fully loaded with a 120/220 film back and the 80 F2.8 lens. I couldn't wait to get her in my hands and had express ordered some film from B&H. When she arrived it was nighttime and the light in our house is terrible, so I popped in some Delta 3200 and shot away. Clearly my first victims were Andrew and JoJo. Don't they look excited? Well, I was and I brought her into work the next day to creep on some Co-workers/employees. This is Lizzy. She loves mail so much she's made herself a cubicle out of boxes. This is Julien and he's a crazy frenchman who tinkers with cameras all day. This is Patrick and he is a customer service Guru. I didn't get to see these images until I came back from vacation - which I will write about in another post - and when I finally got the rolls developed I was as happy as I could be. The camera did exactly what I needed her to do, get me psyched about photography again. Which is really what brought me here, to this revamped website and to this blog. I can't let my passion fade again. I won't. I had a welcomed revelation recently and I've realized that it's time I get back on the hypothetical "pogo stick" of my photography and revamp this website with new work and try to reach out to potential clients. I've grown tired of avoiding my passion, which I fell can be fully explained by my face in this image below (taken by my most fantastic and supportive boyfriend on my Mamiya 645AF). I'm not too sure what to write here right now, but I can tell you that I'm quite excited about really pursuing whatever avenue I can get myself on. I hope you enjoy my work and I would love to be able to take your photograph one day.